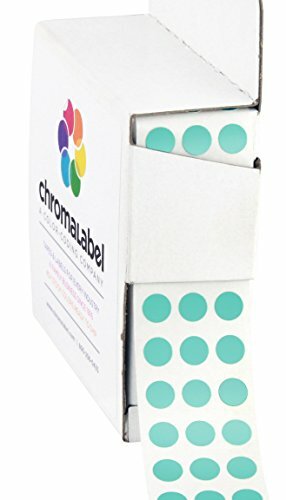 Expand your color coding options with ChromaLabel's adhesive dots. Each two-inch diameter label has permanent adhesive and is easy to write on with a felt tip marker without the ink "bleeding" through the label. 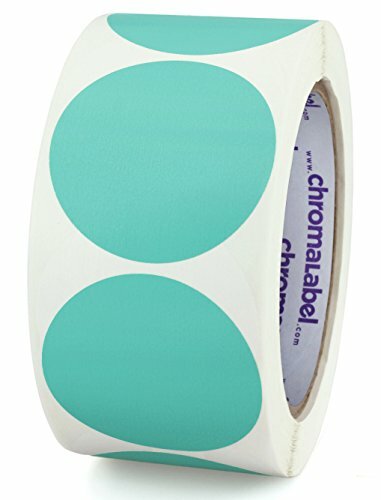 These self adhesive stickers come on a 3" core (500 dots per roll). They're suitable for virtually limitless applications: inventory management, crafts, mailing seals, color coding, education and more! Expand your color coding options with ChromaLabel's colored adhesive dots. Each three-quarter-inch diameter label has permanent adhesive and is easy to write on with a felt tip marker or pen without the ink "bleeding" through the label. Each dot is suitable for virtually limitless applications: inventory, crafts, mailings, education and more! Metallic dots have a gloss finish, fluorescent dots have a matte finish, and everything else has a semi-gloss finish. 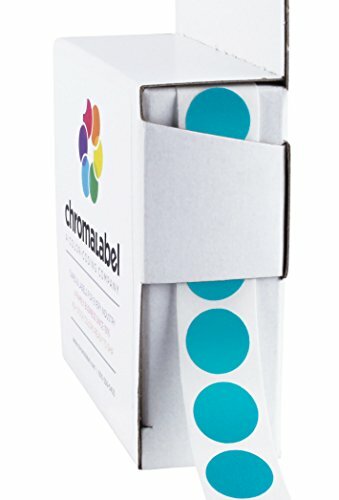 Expand your color coding options with ChromaLabel's adhesive dots. Each three-inch diameter label has permanent adhesive and is easy to write on with a felt tip marker without the ink "bleeding" through the label. 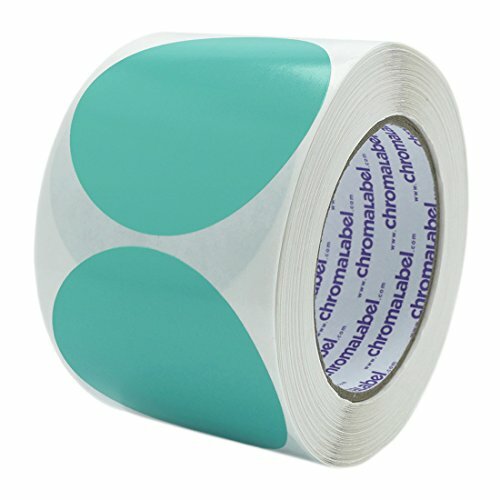 These self adhesive stickers come cleanly shrink wrapped on 3" cores (500 dots per roll). Each dot is suitable for virtually limitless applications: inventory management, crafts, mailings, color coding, education and more! Make your project truly stand out with ChromaLabel's Quarter-Inch Color-Coding Dot Labels! These colorful self-adhesive labels are suitable for countless applications -- whether you're a teacher motivating children with a behavior chart, clerk filing important documents, company prioritizing tasks, or an aspiring artist creating a craft project with a burst of tasteful color. 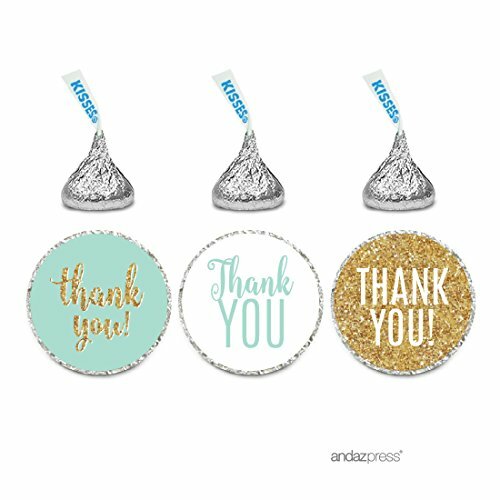 Writing on the sticker with a felt tip marker or pen allows you to further expand your usage options for pricing, custom identification, or initials on a special treat you wish to keep for yourself. Permanent adhesive of these labels ensures that your color-coding stickers will stay just where you need them. The Dots are pressure sensitive and will have maximum adhesion to a clean, flat surface. Labels are finished on a sturdy three inch core and cleanly shrink wrapped. One thousand dots on each roll -- mix and match to ensure you'll be able to lend your signature touch to many projects. 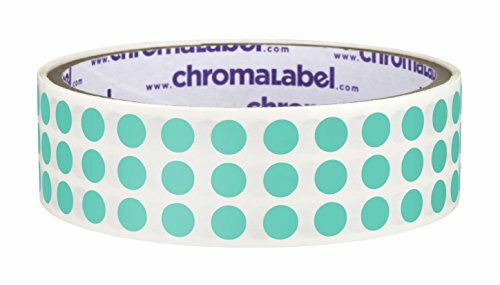 Professional or DIY, at school or home, color-coding or just having fun -- take your project to the next level of style and function with 1/4" Color-Code Dot Labels from ChromaLabel! 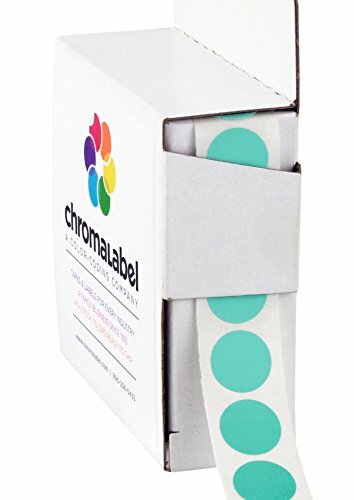 Expand your color coding options with ChromaLabel's adhesive dots. Each 1 inch diameter label has permanent adhesive and is easy to write on with a felt tip marker without the ink "bleeding" through the label. Each dot is suitable for virtually limitless applications: inventory management, crafts, mailings, education and more! Looking for more Aqua Stickers similar ideas? Try to explore these searches: Steamvac Hose, Anti Rust Spray, and Maxi One Caplets. Look at latest related video about Aqua Stickers. Shopwizion.com is the smartest way for online shopping: compare prices of leading online shops for best deals around the web. Don't miss TOP Aqua Stickers deals, updated daily.